Wagner, a former editor of Metal Maniacs magazine, is an apparent aficionado of progressive rock and metal — which makes him a particularly good guide into the world(s) of metal’s most adventurous auteurs. By the time I was finished, I had compiled a long list of “must have” bands I’d never heard of before meeting them through “Mean Deviation” (and then YouTube). Wagner knows his metal and I have a suspicion the man could write fluently about music theory. But Wagner has a conversational writing style that never becomes dry or gets bogged down in discussions of time signatures or sixteenth notes. He’s also not a sycophant; Wagner can appreciate classic Celtic Frost — while still admitting “Cold Lake” was a shocking, embarrassing disaster. 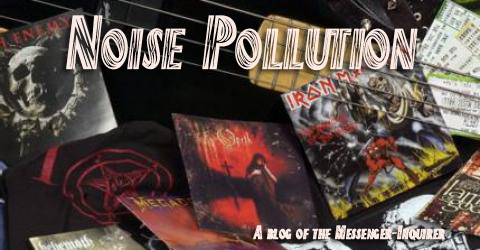 As Wagner describes it, the stirrings of progressive metal can be found in albums like King Crimson’s “In The Court of the Crimson King” and with 70-era Pink Floyd, Yes, Kansas, Genesis (pre-Phil Collins, of course) and mid-career Black Sabbath. Sabbath? Progressive? I doubted as well — but Wagner makes a strong argument that Sabbath ventured into uncharged musical territory on classic albums like “Sabotage,” “Sabbath Bloody Sabbath,” “Technical Ecstasy” and even the maligned “Never Say Die.” Today, Sabbath is considered sacred, untouchable and calcified metal gospel, due to the overplaying of “Paranoid,” “War Pigs” and “Iron Man” by lazy rock radio — but Sabbath reached for something new on albums like “Sabotage” and “Sabbath Bloody Sabbath.” Really, go find the track “Am I Going Insane?” and you’ll agree Sabbath were a lot more progressive than people might suspect. Any history of progressive metal must visit with Rush, and Wagner pays the band their due — even if he acknowledges the band left most of its creative masterworks behind after recording “Moving Pictures” in the early 1980s. But even while we can fault Rush for, essentially, sticking with a winning formula in its post “Pictures” work, the band’s influence can’t be dismissed. My tolerance for Rush is somewhat limited, but certainly the band heavily influenced some of the bigger names in progressive metal, particularly Dream Theater. Along the way, Wagner examine bands like Fates Warning (also one of Dream Theater’s biggest influences), Queensryche, Voivod and the Dream Theater boys themselves. It was nice to see Fates Warning get some deserved recognition — they were never commercially as successful as Queensryche or Dream Theater, but they’re the band people like Mike Portnoy name check when discussing their inspiration. Wagner makes some interesting stops along the way and finds the progressive gene in the death metal swamps of Florida, the arctic cold of black metal and in the hearts of Swizerland, Germany, Finland and Japan. You’ll want to take notes, because many of the bands Wagner highlights — like Coroner, Mekong Delta, Anacrusis, Nocturnus, Atheist, Sigh and Amorphis, to name a few — are worth your time. Death gets particular mention, and rightly so — go back and listen to “Human,” “Symbolic” and “Individual Thought Patterns” and you’ll be amazed at the innovation. History aside, “Mean Deviation” particularly shines when Wagner digresses into an min-essay on the difference between progressive metal and “Progressive Metal.” The progressives with a small-p, Wagner says, were (and are) the bands willing to throw out their own rule books in order to push themselves musically. Large-P “Progressive Metal” is largely a formula founded on Dream Theater that, at its core, isn’t terribly progressive, Wagner argues. For example, compare Voivod to Symphony X. Going into the 1990s, Voivod had a cult of followers after bludgeoning metal albums like “War and Pain,” “Killing Technology” and “Dimension Hatross” — but Voivod lost many of those fans when the band followed its muse (and Floydian influences) on somewhat controversial albums like “Nothingface” and “Angel Rat.” Taking musical strides while risking alienating fans makes Voivod small-p progressive, Wagner says. The final third of the book is a series of mini-biographies on a host of bands Wagner found significant in the progressive genre. Frankly, I found myself skipping some bands — look, I can appreciate what Therion is doing, but I don’t find it overly interesting. But many of the bios were intriguing enough to keep me adding names of my list of bands. With the exception of Opeth, Wagner doesn’t spend much time on the current crop of progressive bands, which makes sense. Who knows what those bands will sound like tomorrow? But what I found myself doing after reading “Mean Deviation” was listening to current progressive metal bands with new ears — now, it’s hard for me to listen to Mastodon or Opeth without hearing bits and pieces of Voivod, or classic progressive bands like Kansas. 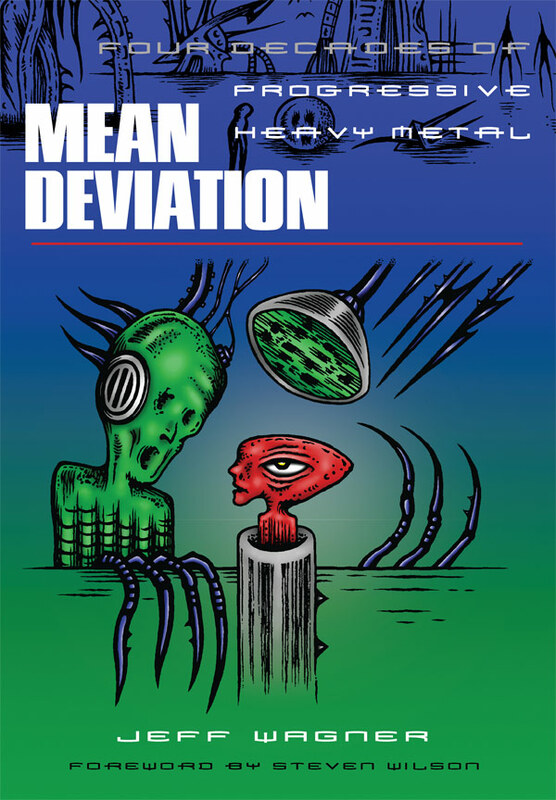 If you’re a fan of progressive metal — or if you always wondered what the fuss of progressive bands was all about — you’ll find something of interest in “Mean Deviation.” You’ll also find about 30 to 50 albums you’ll discover you have to own. Prepare your wallet to take a bit of a beating. You can read an interview with Wagner about progressive metal here.